LOVE FREE PRODUCT? Get to Celebration! 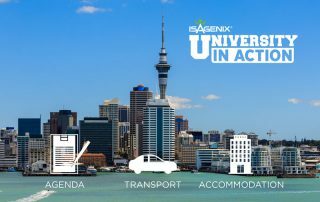 This year at Celebration, not only will you get to experience the Isagenix culture, learn from an epic lineup of International Keynote Speakers and enjoy awesome parties, attendees will also receive a FREE box of Complete Essentials with IsaGenesis for Men or Women upon registration at the event. Our annual Celebration is coming up fast, taking place in Brisbane from 23-25 March. Not only is Celebration a chance to network with likeminded people, gather some serious business knowledge, experience exclusive product launches and product specials and propel us into a successful year, it’s also the perfect opportunity to show your support to Make-A-Wish. DISCOUNTED Celebration 2018 Tickets Up For Grabs! Celebration 2018 tickets are DISCOUNTED until 31 December 2017. After this date, tickets will be available for purchase at full price, so why not grab yours now? Visit ANZ.IsagenixEvents.com today and take advantage of this limited offer! Get your FREE IsaGenesis at IsaU Sydney! Free IsaGenesis and free shipping on Wholesale orders for IsaU Sydney event attendees? Yes please! Haven't yet got your ticket? There's still time! Head to ANZ.IsagenixEvents.com so you don't miss out.